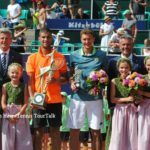 The 29-year-old from Slovakia captured his sixth title on the ATP World Tour beating Denis Istomin in straight sets. 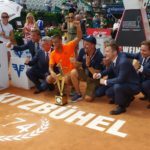 Martin Klizan is the champion of the 2018 Generali Open. 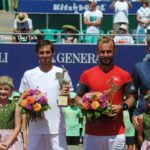 In the just second final between qualifiers since the ATP World Tour was established in 1990, the 29-year-old from Slovakia eased past Denis Istomin of Uzbekistan 6-2, 6-2. 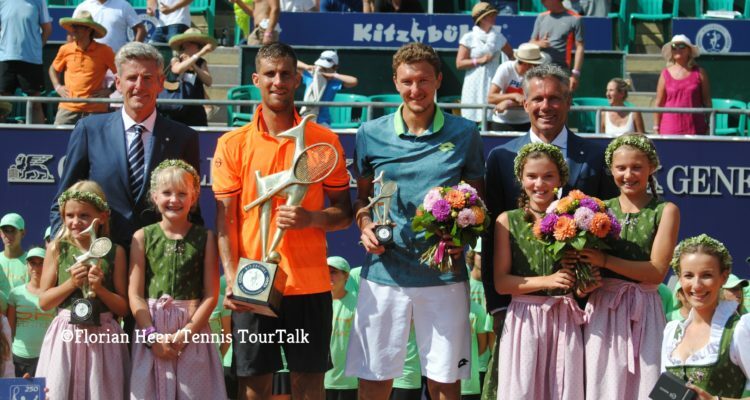 In front of a packed Centre Court, Klizan saved all four break points he faced, converting all of his own four chances to prevail in one hour and eight minutes. “This has been my best performance during this tournament. 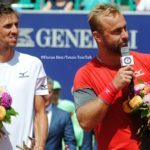 A final is always different but I did a great job and I think that I deserved to win today,” Klizan was pleased afterwards. The World No. 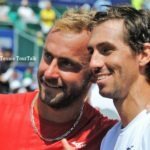 112 improved to 6-0 in title matches, equalling Ernests Gulbis for the most wins without a loss in finals since the ATP World Tour was established. “Every final was different. Sometimes I was lucky, sometimes it was hard work or I was better on court. I am just happy with this kind of statistics. 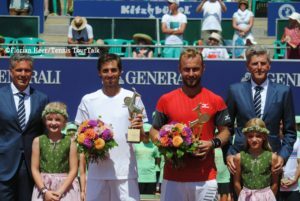 In doubles I won four titles from four finals. 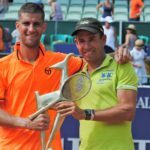 That’s very good and I am very proud of it,” said Klizan, who has worked with former-professional Dominik Hrbaty as coach since December last year. 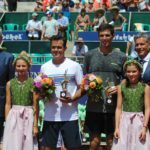 Earlier in the day, Roman Jebavy from the Czech Republic and Andres Molteni of Argentina captured their first team title. The unseeded duo defeated Daniele Bracciali of Italy and Argentine Federico Delbonis 6-2, 6-4 in the doubles final. The encounter lasted one hour and five minutes. 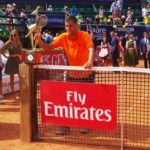 “Thanks for coming out and creating a great atmosphere,” Jebavy told the fans during the on-court ceremony. 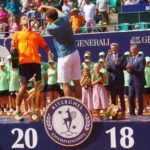 The pair earns 250 ATP-Ranking points and split €27,170 in prize money. 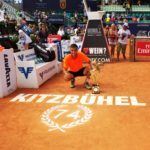 This entry was posted in ATP 250 Kitzbühel, ATP Tour and tagged Andres Molteni, ATP World Tour, Daniele Bracciali, Denis Istomin, Dominik Hrbaty, Federico Delbonis, Generali Open, Martin Klizan, Roman Jebavy.